Let me tell you a story. MGM owns the copyright for The Wizard of Oz. 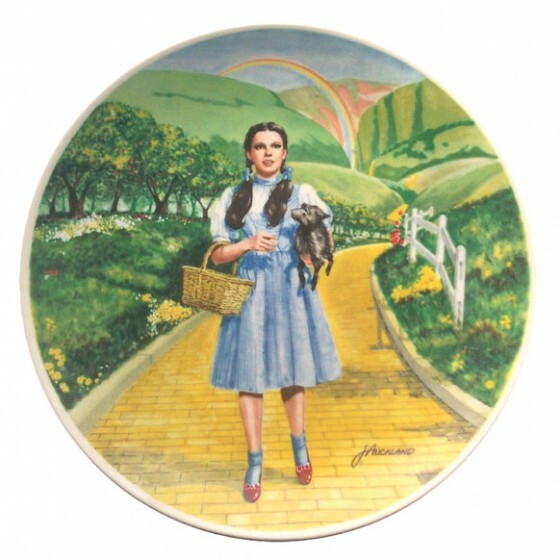 In 1976, they hired Bradford Exchange to create a series of Wizard of Oz collector plates. Bradford had a competition for the “Dorothy” plate design. Jorie Gracen submitted a design that clearly depicted Dorothy, Toto, and the yellow brick road, but the image doesn’t match any screenshot from the film. Gracen’s design won but she refused to sign the contract to turn her painting into the plate. Bradford allegedly gave her painting to another artist who used it to create a similar design which was made into the plate. Gracen sued Bradford and MGM for copyright infringement…and she lost, but this is a pivotal case regarding derivative works. The collector plates were derivative works; however, Gracen was acting in compliance with Bradford’s direction when she created her design. She couldn’t get a copyright in her work because it was based on the movie but she couldn’t get in trouble for simply creating it for the contest. Bradford’s mistake was they didn’t include a copyright assignment or license in the competition rules. I would expect a similar contest to include a provision that everything the artist creates for the contest becomes the proper of the contest organizers or the company they represent. Here’s the big lesson I take away from this case – if a copyright holder tells fans to create fan fiction or fan art, the fans’ work may not be original enough to warrant their own copyrights, but they shouldn’t get in trouble for creating something that they have been authorized to create. However, the fans may only be able to create fan fiction or fan art; they may be committing infringement if they try to distribute it. I would expect the copyright holder to be especially upset if you try to sell your work because you could be interfering with their profits and/or hurting their brand with inferior artwork. Copyright is a murky subject. If you want to chat more with me about this subject, connect with me on Twitter, Facebook, YouTube, LinkedIn, or you can email me. You can also subscribe to the Carter Law Firm newsletter.